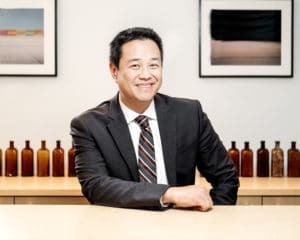 Don Chen joined Surdna as president in November 2018, but he is no stranger to the Foundation. He has collaborated with Surdna for more than 20 years – first as a grantee, then as an ally and partner. In that time, Don has established himself as an accomplished and respected philanthropic leader, founding three national programs and running international grantmaking initiatives to advance equity and opportunity in communities throughout the Global South. His track record and ability to foster tangible success out of a vision for a better world made him the perfect person to lead the Foundation into its next century. The son of a political science professor, Don developed a keen appreciation for the role of government at an early age. “My father’s early years were defined by the Communist Revolution, which forced him to flee China and devote his entire career to understanding its authoritarian government. He often reminded us how lucky we were to be living in the U.S., and he taught me about the ways in which people’s opportunities are influenced by who they are, where they live, and the policies and political forces that affect their lives,” he said. These bits of fatherly advice, coupled with his experience in college volunteering at an organization that fought hunger and homelessness, eventually inspired Don to pursue a career in community development. Before joining Surdna, Don dedicated more than a decade of his career to the Ford Foundation, leading its Just Cities and Regions team. In this role, he led grantmaking initiatives on housing, land use, and transportation and transformed Ford’s approach to urban development strategies that reduce poverty, expand economic opportunities, and advance sustainability in the U.S. and countries in Asia, Africa, and Latin America. Don also oversaw two of Ford’s cross-cutting program areas including its Detroit grantmaking and its efforts to strengthen social justice organizations and networks in select U.S. states. Don was inspired to join Surdna for the opportunity to lead similar efforts in the U.S. He believes the Foundation’s commitment to promoting collective action and strengthening its grantee partners are valuable aspects of its work. “There are countless communities in America that are struggling with similar challenges – including economic disparities, underinvestment in arts and culture, and environmental degradation – but do so in isolation. As a national funder, we have the ability to convene actors and partners from a variety of different geographies to foster learning and ensure much more momentum than if we just focused on individual place-based initiatives,” he said. Don is keenly attuned to Surdna’s values and mission. Prior to his work at the Ford Foundation, Don founded Smart Growth America (SGA), a longtime Surdna grantee, where he launched Transportation for America to resuscitate the transportation reform movement in the U.S. His work at SGA exemplifies his dedication to Surdna’s mission of fostering more sustainable communities. Don’s lifetime devotion to social justice and racial equity also make him the ideal leader for the Foundation. Surdna recently announced refined program strategies to place racial justice at the center of the Foundation’s approach to social justice. Don believes these strategies are the right direction for the Foundation at this moment in its history. “It is obvious that people of color in the United States, especially black and brown people, disproportionately experience the economic, cultural, and environmental harms of our current systems. To ensure a more just and sustainable world, we must focus our attention on communities of color and address the root causes of racial inequities,” he said. It is this bold focus, paired with the Foundation’s long history, that Don believes sets Surdna apart. One of the oldest family foundations in the country, Surdna benefits from a high degree of family involvement. “It’s unprecedented for a family foundation of our size to be under the family’s leadership for so long. I would sincerely say that the Foundation’s greatest contribution to social justice philanthropy is the enduring strength of the institution. Surdna has been unwavering in its commitment to improving the lives of vulnerable people for over a hundred years,” he explained. As the third president in the Foundation’s history, Don draws inspiration from Surdna’s founder, John E. Andrus. “I’ve been reading about his life and learned he was incredibly generous even during his lifetime —donating 45 percent of his wealth to charity. As someone who has benefited from the Foundation’s work over the decades, I am inspired by what I see as the Andrus family’s steady and strong commitment to America’s communities and building a more just world. I want to make them really proud,” he said.